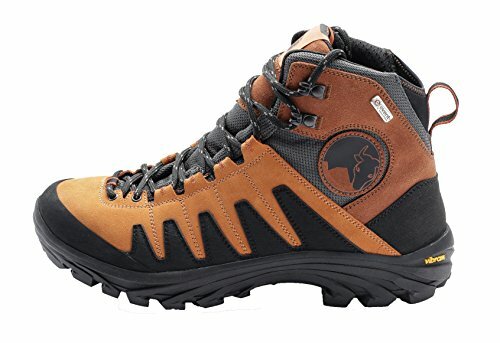 BEST BACKPACKING BOOT as per MEN'S HEALTH (vide 'Gifts for Outdoorsmen 2017') - Optimized for long distance hiking, backpacking or hunting in wet & treacherous conditions, Kameng is a solidly built boot. A 'NO COMPROMISE PRODUCT' made for avid outdoorsmen & women fed up of poor quality boots from big brands. BEST GRIP IN TOWN - Kameng's grip gives you peace of mind.Vibram Megagrip rubber enables superior traction on wet surfaces. High profile Vibram Gironda outsole provides stability on rocks. DURABLE & COMFORTABLE OUT OF THE BOX - Water resistant Suede + Cordura upper for abrasion resistance and durability. Innovative stretch heel section provides comfort while descending slopes. Ortholite footbed for comfort. CROWDFUNDED - Popular Kickstarter product now available for you to enjoy! NOTE ON SIZING - M stands for Men, WM stands for Women's size. If you have any questions about this product by Mishmi Takin, contact us by completing and submitting the form below. If you are looking for a specif part number, please include it with your message.